Attacking play. That describes these games. Tahl praised his play; what more can you ask? 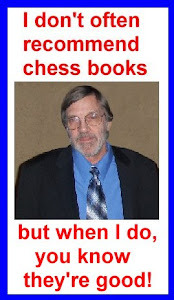 Nezhmetdinov’s Best Games of Chess games with his own annotations. In Super Nezh the annotations are by Alex Pishkin. 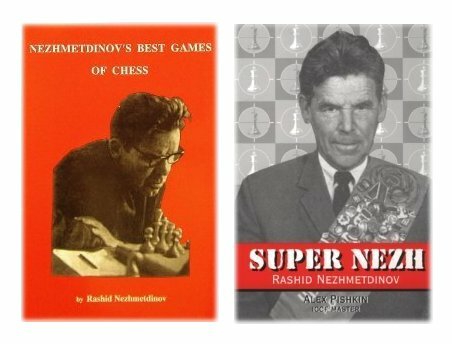 Nezhmetdinov's Best Games of Chess has his personal account of his career which is quite fascinating and makes for great reading. Super Nezh is more of an overview by Pishkin. Super Nezh has photos of Soviet chess personalities of the 1950s and crosstables of important events, but I disliked the way the crosstables were presented…colored blocks for the results instead of the usual numbers. Super Nezh also has a nice feature in that it has thumb-nail sketches of Nezhmetdinov's opponents. Nezhmetdinov's Best Games of Chess has included analysis by Fritz 6 alongside Nezhmetdinov's annotations. This is something I think could have been eliminated from the book because these days almost everybody has a chess engine they can use to playt over the games if they are so inclined. Also Fritz 6 can't fathom some of Nezhmetdinov’s combinations; I’m not sure about some of the later engines.